These are just good! Ask my neighbors if you don’t believe me! Mix flour, baking soda, cream of tartar, cinnamon and sea salt in a bowl and whisk or sift ingredients together. In the stand mixer cream butter, crisco, brown sugar and granulated sugar together. Then add the eggs one at a time. Next, add in the vanilla and greek yogurt. Last slowly add in dry ingredients to the mixture. The dough should pull away from the side of the bowl. Form a ball with the dough and cover bowl with plastic and put in the fridge for 30 minutes or you can have it sit over night. While dough is cooling, unwrap and cut the carmel squares in half. 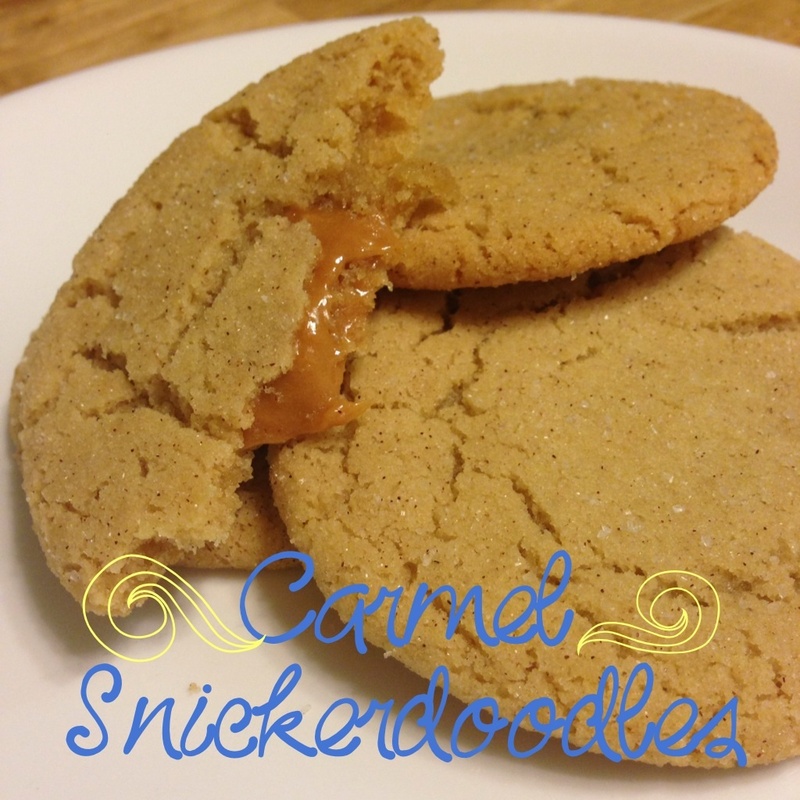 Then measure about 2 tablespoons of dough and place a half of a carmel in the center, cover completely with dough. Roll them into a ball. Then place the ball in a mixture of cinnamon and sugar and cover the entire exterior of the dough ball (approx. 3 tablespoons of granulated sugar and 2 teaspoons of cinnamon). Flatten hands and place on the cookie sheet. Then sprinkle sea salt on top. Bake for 10-12 minutes, a good measure is when the edges start to get golden brown you should take them out. Hope you like these as much as we did! !